Seasons in the Northwoods of Wisconsin and Upper Michigan can be defined by colors, with the varying shades delighting the eyes of nature lovers and the lenses of photographers throughout the year. 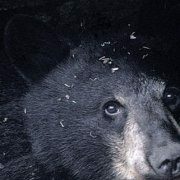 The season of white snow is coming to an end, spring is in the air, and the forests are drinking in the sun and warmth. And just as the forests turn back to a canopy of green and the lakes begin to sparkle blue, a white hue will begin to dot the landscape again, this time in the shade of the majestic trillium. Spring in the Northwoods is always a breath of fresh air after a long and cold winter. One of the first signs of spring is always the appearance of trilliums, also called the “white wake-robin” because it is one of the earliest blooming flowers in the area. These perennial beauties spring up throughout the forests and along the roadsides, typically blooming in April and May. The white trillium is part of the lily family, and a favorites of locals and visitors alike. They prefer shady areas with only partial sunlight, and are a rather delicate species. Although the plant can live for over 70 years, it takes about 17 years to mature and picking the flower with its leaves can prevent it from re-growing. For this reason, many counties and states consider it an endangered plant and make it illegal to pick in the wild. 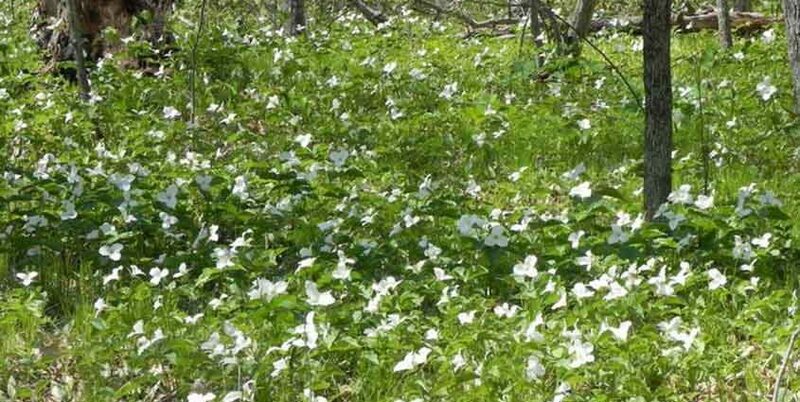 In fact, there are 8 different species of trilliums in Michigan, and 4 of these are endangered. 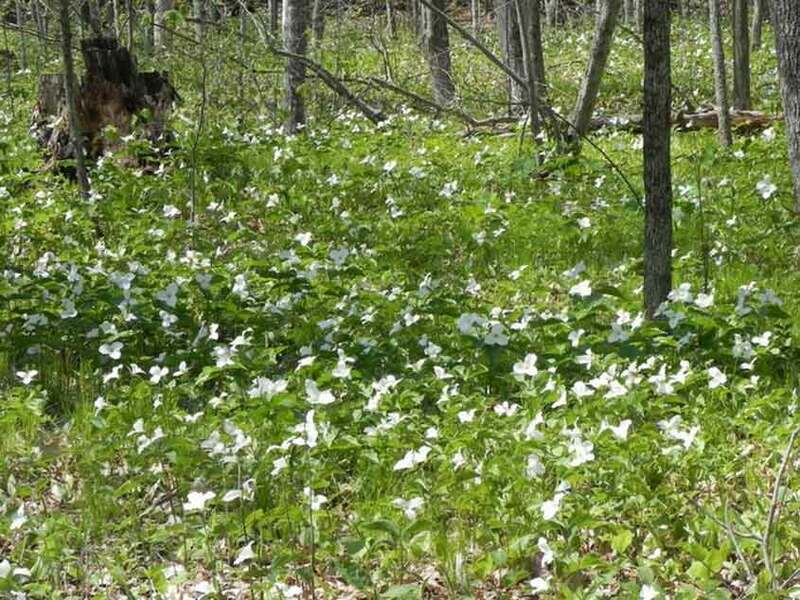 Despite this, trilliums seem to thrive in the local area, and coming across a blanket of the beauties while enjoying a forest stroll is not unusual. However, they do only bloom for about 2 to 3 weeks in the early spring, and this is not a sight you want to miss! Whitetail deer are particularly fond of this 3-petaled wildflower, and it has a long history in the Native American culture. The root of the trillium is said to be an effective antiseptic and antispasmodic alternative medication, and many claim that it can work wonders for reducing swelling of the eyes and in easing rheumatic joints. Although picking trilliums is taboo if not illegal, and we can’t speak personally to its medicinal purposes, wildflower lovers can still enjoy the poetry of this magnificent beauty. As it wakes the robins from their winter slumber, it also awakens a new appreciation of nature in those that catch a glimpse of trilliums sprouting up from the forest floor. The spring season in itself tends to fill us with a sense of hope and rebirth and the white petals of the trillium seem to embody this completely. Enjoy a Spring Getaway to the Northwoods! When you are ready to shake off that cabin fever from the long winter and enjoy the fresh air of spring, the Northwoods is the ideal destination. From a romantic weekend for two to a family nature vacation, The Wilderness Reserve cabins are a great choice. Each cabin boasts its own private lake with a spectacular view, and you can’t get any more private than this. And with 5,500 acres of forested land just brimming with wildflowers and wildlife, The Wilderness Reserve is a nature lover’s dream come true! Call 715-545-2700 To Book your Spring Getaway Today!